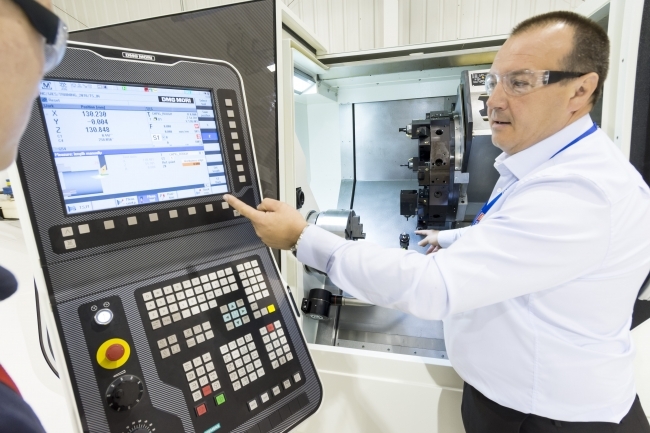 Vert Rotors, the manufacturer of the world’s smallest low-vibration compressors, has partnered with Training 2000’s Advanced Manufacturing and Automation Centre to manufacture a large-scale industrial version of its patented efficient and high-pressure conical screw compressor. Vert’s new compressor VERT.500 brings the unique advantage of clean air with high energy efficiency and low noise. It is an evolution of the 10-times smaller version which produced clean air with low noise and 34% better efficiency than other oil-free alternatives. Standard oil-free compressors operate with high noise levels and low energy efficiency. These issues mean that hospitals, food business and electronics manufacturers, which rely heavily on clean air, have to invest extraordinary resources to isolate noisy compressors. Vert’s new compressor is designed to eliminate this problem and save the hospitals and businesses across country many thousands of pounds for noise protection, as well as reducing electricity bills and cutting CO2 emissions. Olly Dmitriev, CEO of Vert Rotors, said: “We are delivering technology that can support businesses to work smarter and more efficiently as part of the fourth industrial revolution. VERT.500 has potential for use in hospitals and other industries that rely on clean air, and will save businesses a lot of money”. Edinburgh-based Vert Rotors has previously manufactured a series of innovative micro-compressors that are smaller, quieter and more efficient than any other compressor available on the market today. The AMAC is a unique, world-class engineering and manufacturing environment equipped with latest CNC machines to support research and development of the disruptive technologies of the future.